Akali, now called the Rogue assassin has just hit the PBE to be the latest champion on the league of legends roster to be updated. She has a new kit of abilities with some removed in favour of updates and others completely new. Along with this, she has gotten a complete visual overhaul to all of her skins and new splash arts to boot. 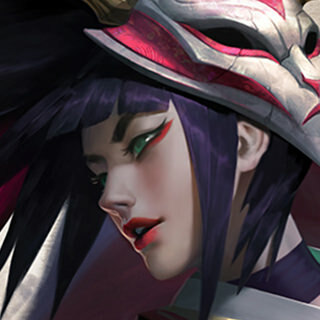 With this in mind, I thought this was a great time to revive this series, giving you all the chance to bring in your thoughts on this rework, how strong or weak you think Akali will be in her new state and if you have any theory crafting on new builds or runes that will destroy when you use them on her. Any thoughts at all are welcome. Before we get into the discussion I think it's good if we have a recap on what we know so far about the Akali rework, below you are able to click through and see all of her abilities, and if you haven't yet make sure you check out the champion teaser page here for more information! Damaging a champion with an ability creates a ring around them. When the ring forms, Akali gains a burst of movement speed towards it. Once she crosses the ring, Akali gains another burst of movement speed towards the enemy. Crossing the ring also empowers her kama, which increases the range and damage of her next attack. This attack also restores a small amount of energy. Akali throws five kunai in a narrow arc, damaging enemies directly in front of her and slowing those at maximum range. If cast with nearly full energy, Akali heals for a percentage of the damage. At rank 5, Five Point Strike deals extra damage to minions and monsters. Akali restores energy and creates a cloud of smoke, which slowly spreads to cover a ring-shaped area. While in the smoke, Akali is obscured and has increased movement speed. While obscured, Akali is stealthed and though her position can be revealed, Akali herself can't be—meaning she can't be targeted by abilities or attacks, including by turrets. Akali can leave the smoke a few times to extend the duration of Twilight Shroud by a small amount. Akali backflips and throws a shuriken forward, damaging and marking the first enemy hit. The shuriken can also hit and mark the smoke from Twilight Shroud. Akali can reactivate Shuriken Flip to dash to the marked target, damaging enemies she passes through. Akali dashes up to two times, with a slight delay between. The first dash deals physical damage and briefly stuns, while the second dash deals magic damage based on the missing health of the enemy. Do you have anything in mind you want tested? If there is anything that you would like tested, have it be an item combination, interactions with other champions or etc, please let me know down in the comments below and I can test it on the PBE and let you know the results! WITH THAT, LET THE DISCUSSION BEGIN! Do keep in mind there are no expectations as to how short or in-depth your thoughts are if you have something that hasn’t already been brought up down below about Kayn here is your chance to write about it down below and see what others think and start a discussion. See you all down there in the comments, good luck and have fun summoners! Elam is an Instructor on the boards, focusing on gameplay and strategy advice while running a graphic design company working with various esports teams in the oceanic region. Wuks is a Wrenchman on the boards, focusing on improving the health of the boards by giving it updates through various coding wizardry tricks and helping code the very post you are looking at!